The boned hip fin detail helps to emphasise the hips whilst the corset cups the ribs for ultimate comfort. 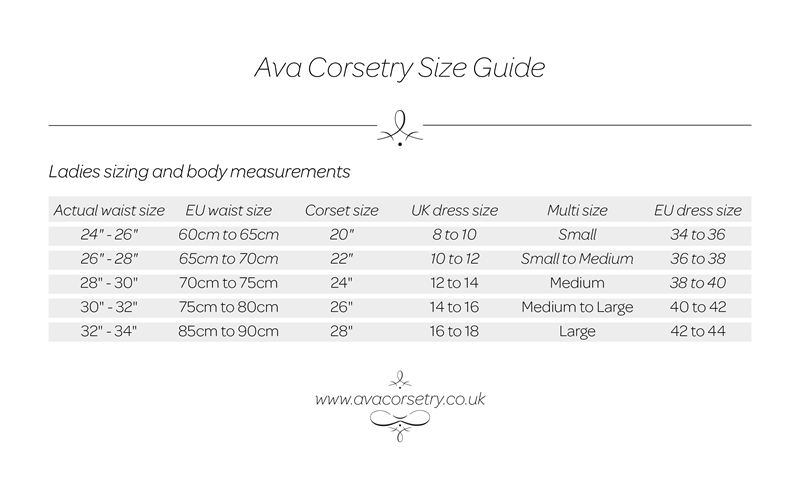 29cmin length at front, Carmen is made from top quality corsetry coutil, taffeta & lace. Superb German steel boning and busk feature internally with a full cotton waist tape for extra support. Two piece silver eyelets finish off this lovely corset. Best worn as an outer corset, Carmen works well with a long black chiffon skirt for a dramatic style. ﻿Pre-order with a 4-6 week delivery.